Representing leaders in metal construction products for over 75 years. 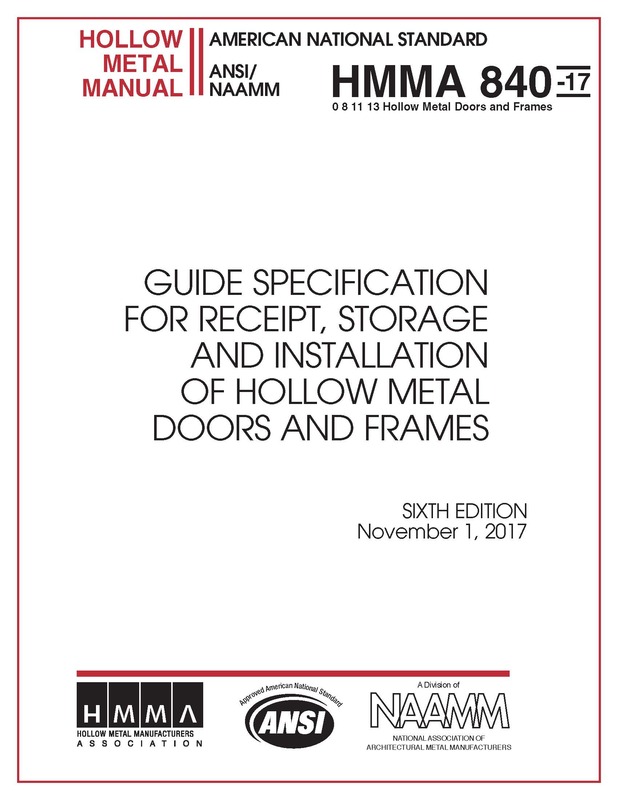 The most recent NAAMM technical publications and manuals are listed below. Find more under Publications. 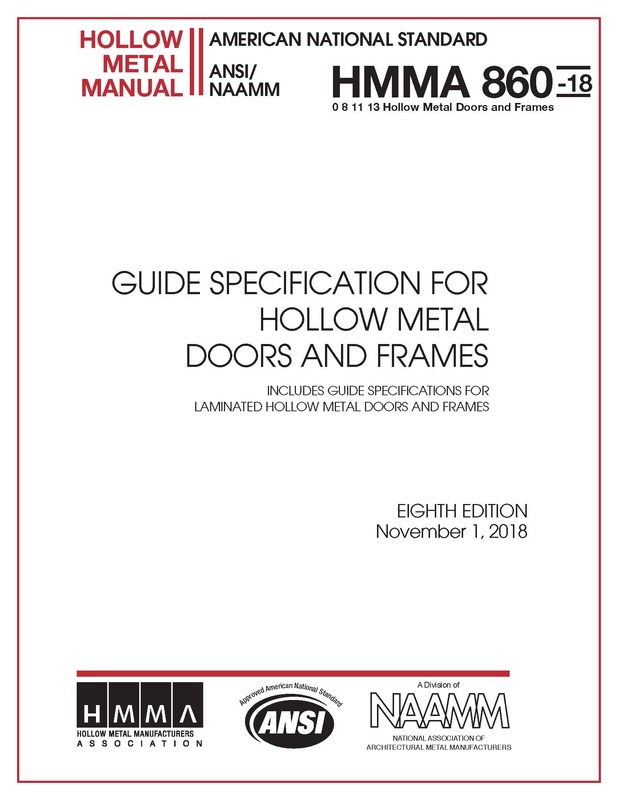 HMMA's Standards provide authoritative, unbiased information regarding the manufacture, design and use of hollow metal products. The chief objective of our standards is the promotion of careful workmanship and the use of good design practices and quality materials. 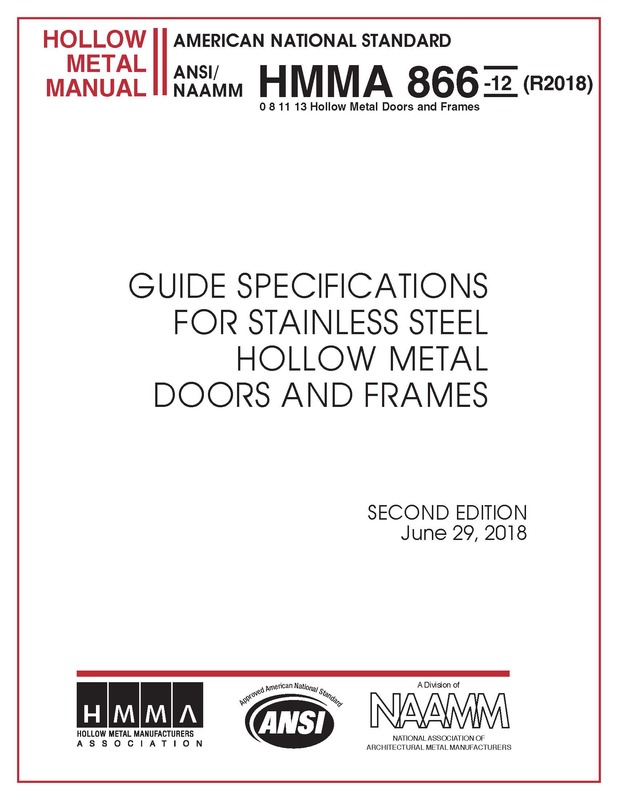 The establishment of appropriate standards is helpful not only to the architect and manufacturer, but to the contractor and building owner as well. 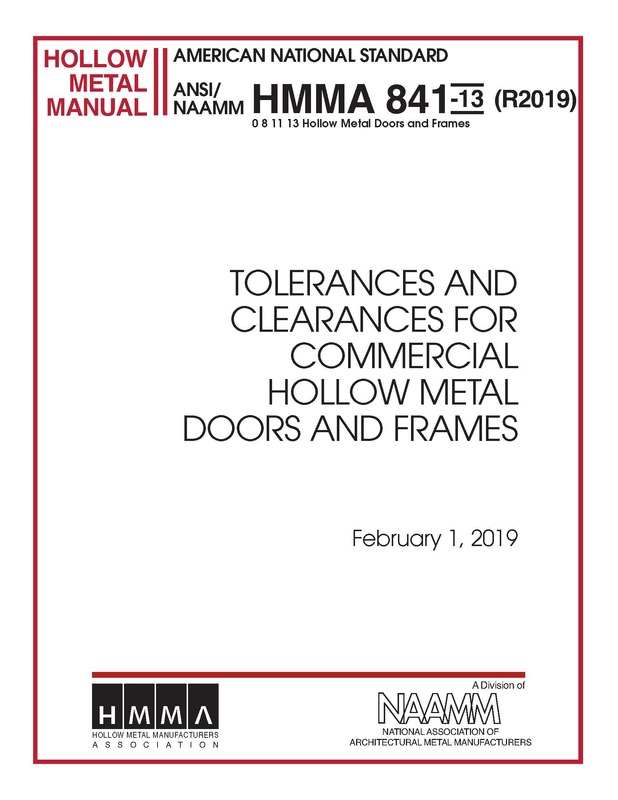 This standard was reaffirmed in 2019.